One of the most intimidating aspects of working with film today is accessibility and availability of resources for processing. With professional labs becoming rarer and rarer in most parts of the world, except for major urban centers, one of the remaining options for the photographer pining to shoot film is to develop one’s own. The good news is, however, that developing film at home is incredibly easy, requires few tools and little space, and gives you superior results and control over what many labs could ever offer. Assembling a basic kit of black-and-white film development supplies is easy, and should take up about as much room as the proverbial breadbox. For popularity’s sake, we’ll stick with roll film for the bulk of this article, although there are unique options for sheet film photographers, as well. Developing Tank A tank is the vessel used to hold your film and chemistry in place, and prevent light from exposing the film during the developing process. The Paterson tank system is an industry standard for plastic tanks, and comes with everything you need besides reels. 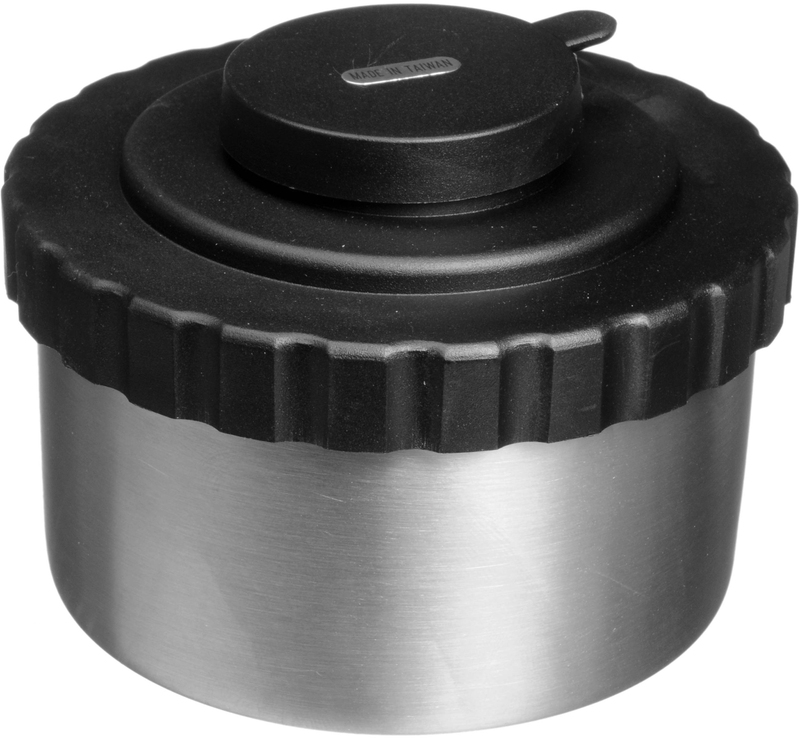 For purists out there, stainless-steel tanks for roll film are also of a standard size, and offer increased durability and temperature retention. Whichever way you go, keep in mind that plastic reels must be matched with plastic tanks, and stainless-steel reels must be matched with stainless steel tanks. Reels The second component for developing your film is a reel, or more than likely, reels. Tanks can be purchased to accommodate multiple reels simultaneously; you develop several rolls of film at once. 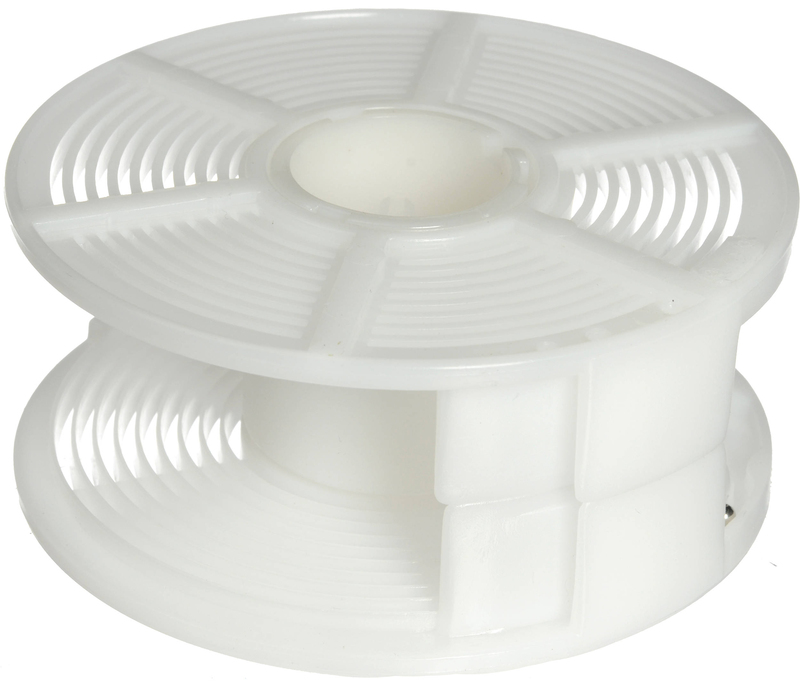 Plastic reels are, in the author’s opinion, easier to load due to the ratcheting system used to spiral film around them. Stainless steel reels are a bit trickier to master but, when coupled with a steel tank, require less chemistry for processing. Chemistry In the most basic sense, you only need developer, fixer, and water. 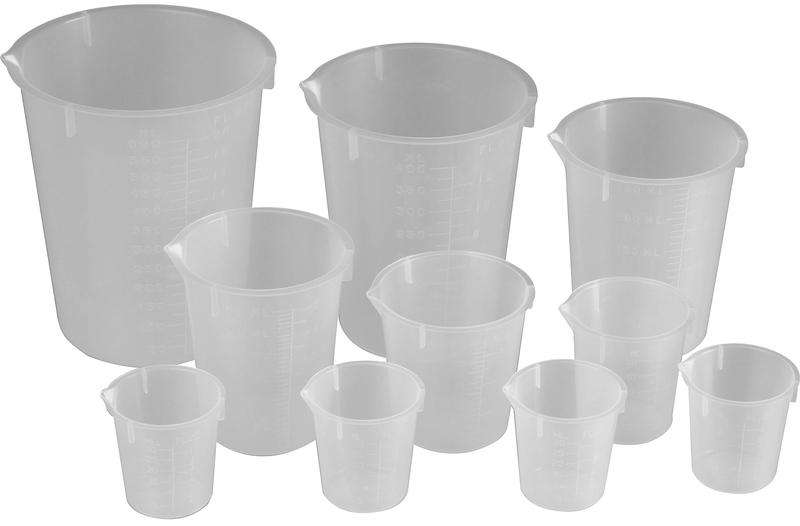 Graduates Specialized and accurate graduates, or other measuring vessels, are a must. It is essential to measure the proper amount of chemistry for developing, and equally essential to get your dilutions correct when mixing chemistry. It is recommended to have at least two or more graduates of varying sizes—small ones are more accurate, larger ones obviously hold more chemistry, and multiples are needed so you do not cross-contaminate developer and fixer solutions. Storage Bottles Depending on the number of chemicals you end up using, working and stock solutions should be kept in labeled storage containers for easy access and to prolong their working life. 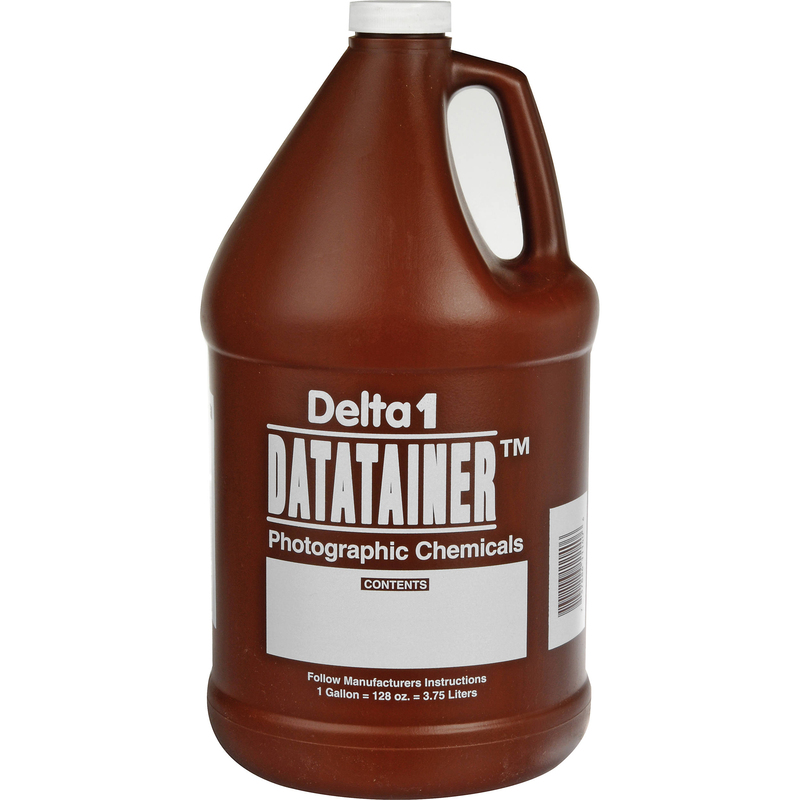 The size of the container is dependent on the chemistry you are using and how often you will be developing film. Film Clips Seemingly frivolous, film clips, in my experience, truly do work better than clothespins when air-drying your film. Thermometer A thermometer is another essential, and it’s important to get a separate one for your film-developing needs. 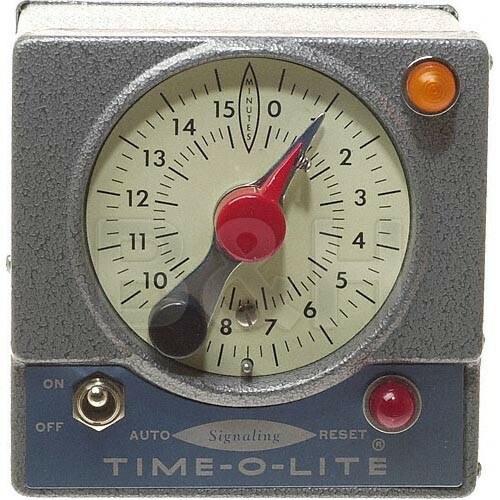 Stop Watch or Timer Dedicated cooking timers, stop watches, or any clock with a legible second hand will help keep track of developing times, for greater consistency. With this list in mind, take a look at Bjorn’s Film Developing Kit for a basic, all-inclusive bundle to start developing film at home. After you’ve acquired everything you need to develop, the fun part begins. Beyond the developing kit itself, there are a few other things you need for processing: a completely dark room (or a changing bag, if necessary), a sink with running water (make sure the faucet is high enough to accommodate your tank underneath), and a clean, dust-free place for your film to dry when you’re finished (I dry my film in the bathroom, hanging from a metal coat hanger that, itself, hangs from the shower-curtain rod). If this is your first time developing film, it is worth sacrificing a roll of unexposed film to practice loading your reels; depending on the type of reels you have, make sure you can load your film comfortably and easily with your eyes closed the entire time. Loading After spending time familiarizing yourself by loading a practice roll in light and dark, move to your completely dark space and configure your equipment: have your tank and, if applicable, center post, funnel, and lid all laid out, along with your reels. I like to also keep a pair of scissors in my back pocket to trim the film from the spool or remove film leaders, as well as pry open 35mm cartridges if necessary. Once set, turn out the lights and wait a few moments for your eyes to adjust, which will allow you to spot if any light is creeping into your loading space. Go through the process of either ratcheting or rolling your film onto the reels, put them into the tank or onto the center post, attach the lid or funnel, and make sure all of your film is secure before turning on the lights or leaving the light-tight space. Developing Preparation With your tank loaded, move over to the sink you will be using and lay out all of the chemistry you need in premeasured amounts. Depending on the developer you will be using, prepare enough chemistry using the recommended dilution on your developer bottle. The tank you are using will dictate the amount of chemistry needed. One important thing to note during this stage is temperature—most of the time, it is recommended to work with liquids between 68-70°F / 20-21°C. 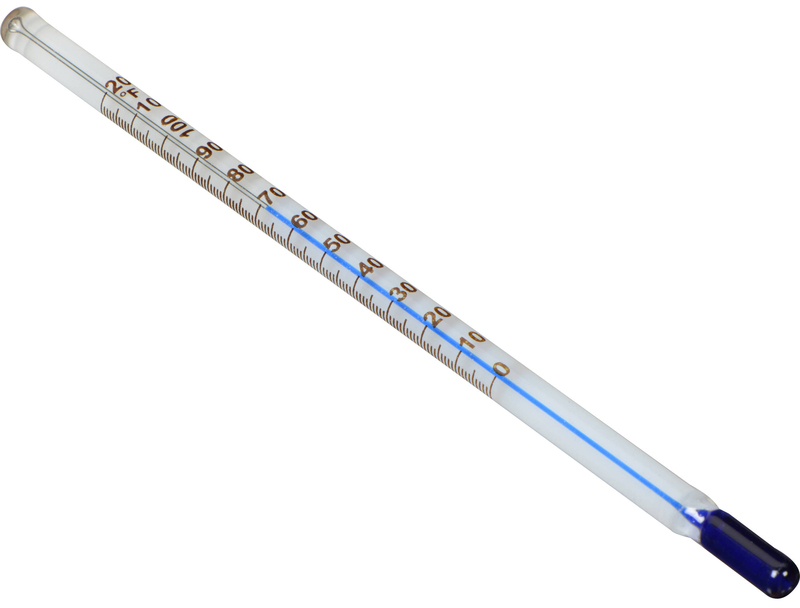 Use your thermometer to ensure the water you are mixing with developer is this temperature, to produce consistent and accurate results. 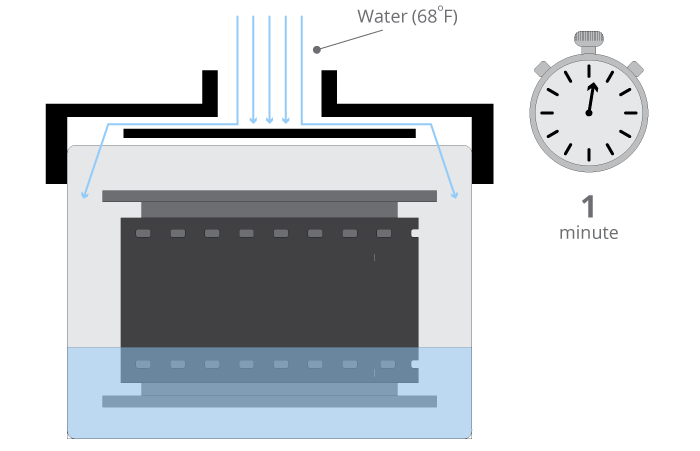 If the water temperature is hotter or colder, the film’s contrast could be greatly affected and developing times will change. If you haven’t already, prepare your fixer according to its specified dilution, and make sure to not have any fixer come into contact with your developing solution—do not mix fixer first and then use the same vessel to mix developer, for instance. Additionally, prior to beginning the process, make sure to note development time for your film. A good starting point will be listed on the box in which your film came, or possibly on the bottle or package of developer you are using. In any case, these times are called “starting times” and can be adjusted as you learn more about how you personally like to expose and print/scan your film. Developing Now, with your mixed developer at 68°F, and your mixed fixer to the side, you can do an optional, but recommended by the author, pre-wetting stage. Fill the tank loaded with film with 68°F water until it is full, and let the film sit for 1 minute. This step brings the film and tank to the temperature of the developer, can rinse off anti-halation layers, and some say it softens the emulsion layer of the film to be more receptive to the developer—the benefit I’m sure of is the temperature stabilization, but it’s become a habit of mine over the years and has always led to successful results. After 1 minute, pour the water from your tank down the drain (don’t worry if the water turns a bright blue, dark purple, or some other color—that’s perfectly normal) and quickly, but steadily, pour in your mixed developer solution. As soon as your tank is full of chemistry, start your timer and begin agitating the film. Depending on the tank you are using, various agitation styles can be employed, ranging from total inversion agitation to simply using a spindle to rotate your film—I prefer to use a gentle inversion agitation method. Agitate the film continuously for the first 30 seconds, and then agitate for 10-15 seconds every 30 seconds thereafter. This agitation schedule is pretty standard method; however, it can be changed depending on processing method, developer type, or to alter contrast slightly. Once you have finished developing, either pour the spent developer down the drain, if you are using one-shot developer, or return the developer to its bottle if it is reusable. Quickly fill your tank with 68°F water, empty it, fill again with water, and agitate continuously for 30 seconds to 1 minute. This step is functioning as a stop bath to halt the developing action, and is an alternative to using proper stop bath chemistry. In my practice, water has almost always been suitable for stopping developing action, and I’ve rarely felt the need to use a true stop bath. If you’re total developing time is 5 minutes or shorter, though, a proper acetic or citric acid stop bath can be used to more quickly stop the developing action to prevent overdevelopment. After the stop bath step, empty your tank and fill the tank with your mixed fixer solution. Similar to the developer stage, I like to agitate continuously for the first 30 seconds, and then for 10 seconds every 30 seconds thereafter. Fixing typically takes about 5 minutes in total, a minute or so longer won’t hurt, but the total amount of time is not as crucial as the development stage. 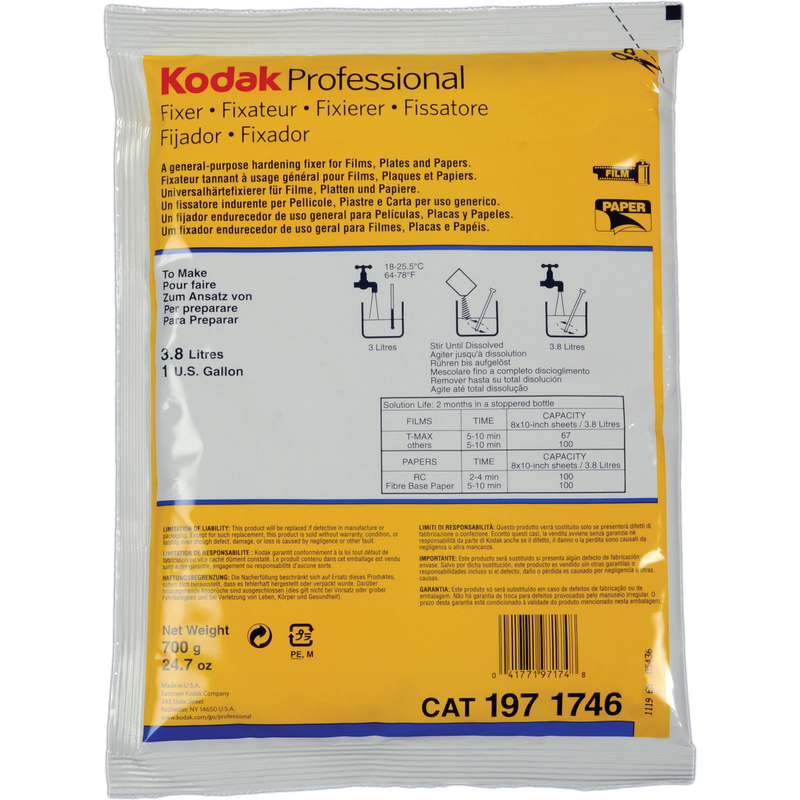 After fixing your film, make sure to return the solution to your bottle using your fixer-dedicated funnel or graduate, and save. Now that the fixing is done, you are essentially finished with processing your film, and can now remove the lid from your tank; however, I would recommend keeping your film on the reels for the washing process. 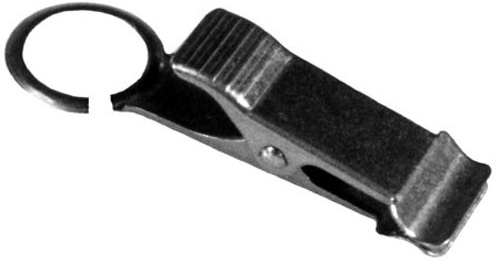 Many advocate for the use of a hypo clear or washing aid step to expedite the total washing time needed. Similar to stop bath, I feel this step is completely optional if you don’t mind spending a few extra minutes washing your film. My process for washing is to fill and empty the tank with cool ~68°F water three or four times, then slow the rate of the faucet and let the water continuously fill and overflow in your tank for approximately 10 minutes. After this rinse period, you can perform one more optional step, and this time I recommend it, which is the use of a wetting agent to prevent water marks from forming on your film during drying. After you’ve emptied the tank from the water rinse, refill it with a very dilute mixed solution of water and wetting agent, and let that sit for about 30 seconds or so. Afterward, you can now remove your reels from the tank, remove your film from the reels, and use film clips for hanging your film to dry. 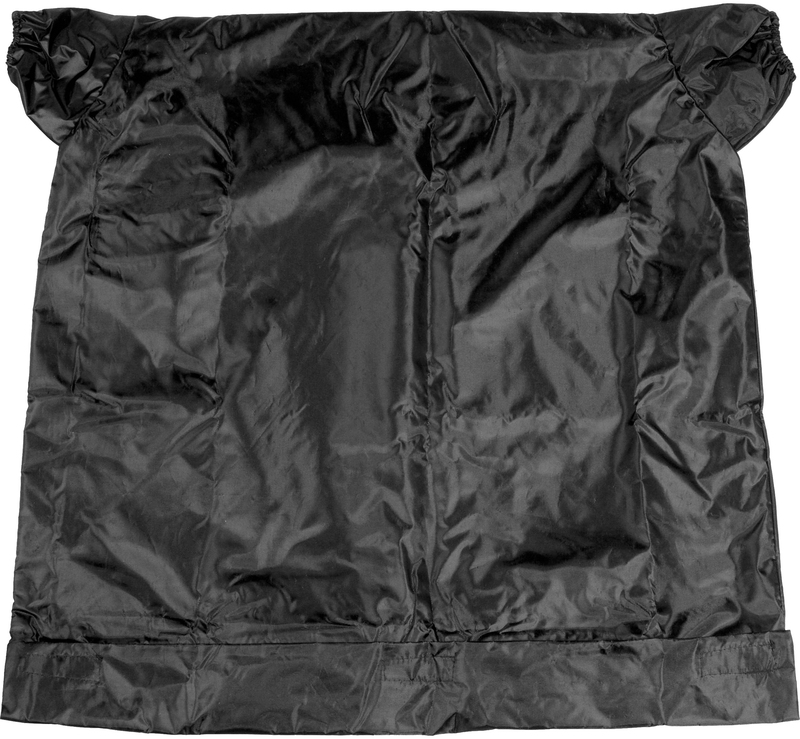 Post Development After development, let your film air-dry in a dust-free area for approximately 2 hours or so, until the film is completely dry. If any moisture is still present on the film’s surface, just be patient and wait for it to dry as opposed to trying to wipe it off. Once completely dry, I typically cut the film into strips using a pair of scissors, and file into negative sleeves. You’re all finished now, ready to scan or print your film. I have started out Photography as a class in which was Photography 1 at Wichita High School East in where Edward L. Antrim already taught in when I was a High School Senior there. I have gotten some help from one of my classmates to load my negative films up into the developing tank before putting the chemicals in order (D-76 Developer and Water together, and then after that Fixer) for My First Rol of Film, Depth of Field, and for to Rent Camera out, after I finish using all of my Film up before rewinding all the way back to the top. In which also includes Black and White Photography Studios 1 & 2 at Wichita State University in where Dale Strattman has taught, as well as Linda K. Robinson of Photo Media Topics (Large Format) and Advanced Photography Studio in where i did some developing for myself in which was and still elsewhere, unfortunately not even at home!!! This is an education I will have to give it a try, clearly described every step. Is there any way to get this wonderful presentation in a pdf? At the top of the page, just under the article title, is a printer icon. Click this and it should open up a smaller window for your print options. Look for the one that says "Microsoft print to PDF". It will ask you for a save location; select whichever file location you'd like to use. Click Print. Depending on how your computer is setup, it'll either convert and close the print window or convert then open the new document in Adobe. In either case, you now have a PDF version of this article! Thanks for the great guide! I am in the process of setting up to process B&W film and paper again. Has anything changed with disposing fixer? I see the comments about the septic system, but can't small amounts of silver from fixer be processed thoroughly by the city sewer system? Thanks! As far as I know, nothing has officially changed in regard to disposing fixer, and I'm unsure/can't confirm if you'd be able to pour spent fixer down a drain or not. To be safe, I still think it's a good idea to use a silver recovery bucket if possible, or to bring any spent fixer to a local school or a lab if one's available. Thank you for publishing this very informative procedure. I had done this many years ago while training and working for my ex-father in law who is one of the busiest photographer in Manila. I never really liked the smell of the chemicals and how it lingered in my clothes so I quit doing lab work after graduating from college. But now that film processors are hard to find, i am planning to build a darkroom and do my own processing. Just what I needed! Did this years ago, but have forgotten. This piece is a great step by step tutorial, along with handy tips. I'm tired of paying for labs, and having to ship and wait 7-10 days for results. Now, please, do a piece on scanners next, ok? I've written a couple of articles relating to scanning that might help you out: here's a buying guide to film scanners, which includes a handful of flatbed scanners as well, and covers the range of models and their features we have at B&H. And for more of a tutorial, we have a piece on using a DSLR (or almost any camera could work) to digitize your film without a scanner. This method seemed to work particularly well for black and white film, so if you have the camera and macro lens, I think it's definitely worth a shot. I think most of us have inherited the Dark Room from our father or someone from family. My uncle Late Panchanan Dutta gave me a book to read 'Enlarging' before I picked up camera. He told me first to understand the film and how it works. Those days I used to seat outside the darkroom with a watch and knock the door to convey the start time and end time of developing, as he use to do tray processing sometime. It used to be a great time when he used to allow me to come in darkroom during printing. He had a small 35mm enlarger, which I inherited later. My job as a news photographer in daily news paper in India later, my darkroom became store room. All my devloping and printing used happen in office darkroom. After leaving job I am back home and constructed a new darkroom with an used Besseler and LPL enlarger. Now I have new Durst enlarger. Last week I sold my Canon 6D camera and planning to buy one 24mm/21mm lens for M6. The sound of flowing tap water, the smell of devloper brings me back to DARKROOM. Ahhh, the good times I spent in my darkroom in the basement when I was in high school in the mid 60's working with B&W and Color Slides. After a while it became so easy getting those rolls of film onto the reels in the dark. I did think about turning Pro but never did, still kind of wish I had. But now with a good DSLR camera and a high capacity memory card you can go out and shoot all day and have fun on your compter later. Just not the same fun as seeing those pictures develop on the printing paper.. I should add, that years ago there wasn't much thought given to the possible effects of the chemicals, or the proper disposal of those chemicals. At a very early age, I wanted to be involved in as much Photography as I could get into, and at 12 years of age, many of the people in my "Photo Group" were much older, some were in College, and a Pro Wedding Photographer taught me to be an assistant, then a Second Shooter. We were shooting Medium format back then. Years later, in Photography School, I learned about the proper handling and disposal of the Processing Chemicals. I felt the need to add this in, because when it is done right, Processing and Printing Film, and Darkroom work in general, can be a very rewarding experience. The Satisfaction of the process is what led to us spending so many hours in the Darkroom. What todays Digital image Generation sees instantly, we had to work for several hours to see, and I can't even express in words the feeling of seeing your first image coming to life in a tray of Dektol, in the dim glow of the safelight! I doubt that one could go back in time, and experience this, after knowing about Digital imaging, and have that same experience, but to us, bringing a Print to life was like magic, and it didn't end there, we Cut, Mounted, Matted and Framed our Prints, and each one was a One-Off Work of Art that we took Pride in. (I know, today, images seldom even leave the computer screen). I'm sure that few of you will even read this, but to those of you that actually shared in this experience, I am certain that this will bring back many fond memories of yours! My Dad introduced me to the magic of developing film and making contact prints when I was in Jr High School (1950's). 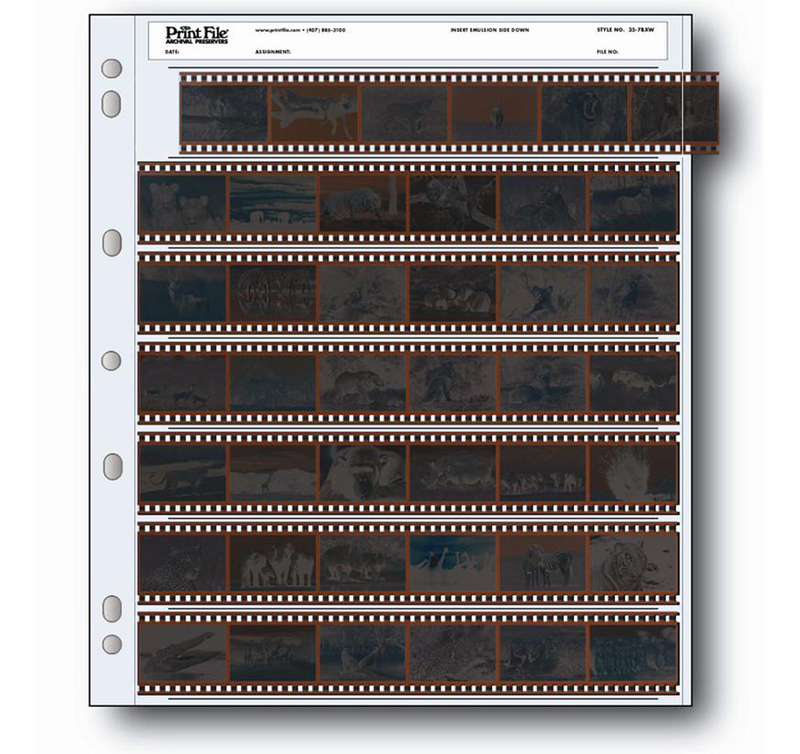 It was something that would become a lifelong hobby until the advent of the digital darkroom. I as Joe experienced many of the same wonderful things during those early years of my life and at times a feel a very strong desire to return to my darkroom (which I still have) re-stock the chemistry and enjoy this art form again. Thanks Joe for helping me remember some very happy and productive times in my life. I wonder what effect the chemicals had, as I touched and breathed them in home darkrooms for many years. Mostly Black & White, but I did Color Printing for quite a while too. (Color Negatives required stricter temperatures) but still, they say if you can smell it, it has entered your system, and it did smell on my hands, even after countless washings. I am grateful today, for not having to use harmful chemicals, and I believe that there are stricter rules for disposing those chemicals as well. While the experience was good (having only the 36 images to "get the right shots", was a great teaching aid) I believe that todays techniques are better for the Photographers and the enviroment. (I hope that those who were born into the digital age, appreciate that they don't have to make such sacrifices). A nice, comprehensive article. I smile because I have all the mentioned items. ALL! And I haven't touched them in 14 years. But I loved them last century. Great article. I've wanted to learn to develop my film. Howerver, long ago, we moved from a water/sewar utility system to a well pump and septic tank system. Will the chemicals and waste harm a septic system? I haven't had our water system tested; a hypo clear would probably be a necessary step? I shoot both B&W and primarily C-41 (two film cameras: 1 loaded with B&W and the other with color), I've shot slide, so there's a question about E6. What chemicals can be shipped from B&H? In small amounts, most chemistry will not harm a septic system, but if you want to be careful with well water you may want to collect any spent chemistry and dispose of it at a waste center every so often. It makes for a good excuse to work with a reusable/replenshiable developer. Also, you should never pour used fixer down the drain- reuse it until it is exhausted (this can be tested with a chemical like Hypo Check) and then look into setting up a silver recovery system (best to do a search on this, it's a pretty broad topic) or disposing your chemistry at a local lab if possible. Both C-41 and E-6 chemistry is still available, but do note that processing color film isn't a very exciting or creative process like black and white- they are very straightforward, regimented processes that require a lot of attention to detail. And in regard to chemicals that can be shipped from B&H, it's hard to say generally what can and cannot (it relates to the composition of the chemistry, but I am unsure of the specific chemicals that cause an item to be pickup only vs shippable)- the easiest way is to check out what's in stock, then scroll through and note which items are store pickup only versus in stock/shipping only. A pretty good amount of the chemistry is available for shipping, just some of the more obscure solutions will be pickup only. Thanks for the info. Primarily with C-41 development, I was more interested from a convenience point of view; the drugstores that did C-41 developing have switched from wet-lab processing to dry-lab processing where the negatives are destroyed in the process. I don't want that; I want my photos on a tangible object like film. With B&W and E-6, I have to send those films out of state for developing. Now, I have to do the same with C-41. I have just read the material on B and W developing. Whilst it sounds pretty straightforward, after have the equipment, will have a number of test runs as have quite a few rolls of film now some years past use by date. Most, if not all , of my photography is colour.